Who are the best Major League Baseball Players who up in Los Angeles? MLB.com listed the top five players who grew up in the Los Angeles area. 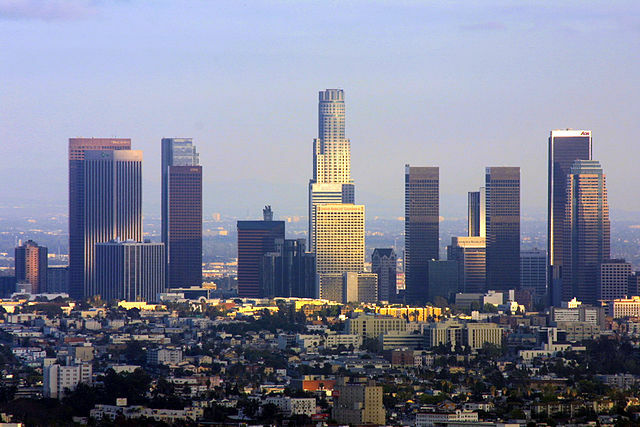 They were not all born here, but most of them lived in Los Angeles during High School. MLB.com ranked the players primarily by WAR, but also used accomplishments and Hall of Fame Status. So now, here is the list of the top five players who grew up in Los Angeles. Height: 6′ 1″, Weight: 200 lbs. Walter Johnson was the second of six children born to Frank and Minnie Johnson. He was born in Kansas, but moved to Los Angeles while he was still young. He attended Fullerton Union High School, which stands only blocks away from where Angels Stadium is now located. Johnson signed as a free-agent with the Washington Senators in 1907, at age 19. He exceeded expectations as a rookie, impressing many. Johnson was a 2-time MVP, and is the all-time leader in shutouts. At the time of his retirement, Johnson held all-time records in nearly every possible way. He was a three-time Triple Crown Winner, six time wins champion and twelve-time strikeouts champion. Johnson also had five ERA titles. In 1936, Johnson was inducted into the National Baseball Hall of Fame. You can read more about Walter Johnson at sabr.org or baseballhall.org. For more information about Johnson’s statistics, visit baseball-reference.com. Height: 5′ 11″, Weight: 195 lbs. Jackie Robinson is perhaps one of the most famous players in the history of baseball. Everyone knows him as the man who broke the color barrier in baseball. On April 15, 1947, Robinson made his major league debut at Ebbits Field in Brooklyn. Robinson overcame many challenges in his career, including teammates refusing to play with him. Robinson received the Rookie of the Year Award in 1947, and was elected as the National League MVP in 1949. Robinson was a 6 time all-star, and was elected into the National Baseball Hall of Fame in 1962. Robinson’s number was retired league-wide in 1997, and is worn league-wide on his birthday every year. You can read more about Jackie Robinson at Jackierobinson.com or baseballhall.org. For more information about Robinson’s statistics, visit baseball-reference.com. Height: 6′ 0″, Weight: 185 lbs. George Brett is a Royals franchise leader in many areas, and is also #16 on the all-time hits list with 3,154 hits. Brett was an expert at hitting line drives, which is what likely helped him collect so many hits. Brett was picked by the Royals in the second round of the 1971 draft. Brett needed only two years in the minor leagues before he was called up to the big club in 1973. He exceeded expectations in his rookie year, with a batting average of .282. Overall, Brett collected 3,154 hits, 13 All-Star appearances and 3 Silver Slugger Awards. He leads the Royals in hits, runs, doubles, triples, home runs, RBI’s, walks and WAR. Brett was inducted into the National Baseball Hall of Fame in 1999. You can read more about George Brett at baseballhall.org. For more information about Brett’s statistics, visit baseball-reference.com. Height: 5′ 11″, Weight: 185 lbs. Tony Gwynn was a star in Major League Baseball for 20 seasons, the entire time with the Padres. Gwynn grew up a basketball star in near Los Angeles, but he decided to play baseball instead. 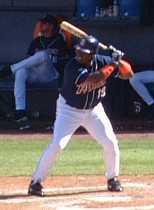 The Padres drafted Gwynn in the third round of the amateur draft in 1981. The Padres were not the only team interested in him, however, the Los A, ngeles Clippers also drafted him to play basketball, but luckily for the Padres, Gwynn decided he would rather play baseball. The fifteen-time All-Star, five-time Gold Glove Award winner, seven-time Silver Slugger, eight-time NL batting champion, and franchise leader in batting average, hits, doubles, triples, and stolen bases, was elected to the Baseball Hall of Fame in 2007. You can read more about Tony Gwynn at baseballhall.org. For more information about Gwynn’s statistics, visit baseball-reference.com. Height: 6′ 2″, Weight: 190 lbs. Eddie Murray holds the Major League record for the most games played at first base, 2,413. Murray was the AL Rookie of the Year Award winner, eight-time All-Star, three-time Gold Glove winner, three-time Silver Slugger, 1983 World Series champion. Murray was also looked up to by his teammates, particularly Cal Ripken Jr. Ripken said of Murray, “When I got to the big leagues, there was a man – Eddie Murray – who showed me how to play this game, day in and day out. I thank him for his example.” You can read more about Eddie Murray at baseballhall.org. For more information about Murray’s statistics, visit baseball-reference.com.